Just a quick one before I mosey on off through to Singapore for family time. Visited Pavlov's Duck for a quick breakfast on Sunday. I'd forgotten that PD does hoppers on weekends and public holidays, so this was a delightful and fairly straightforward order. 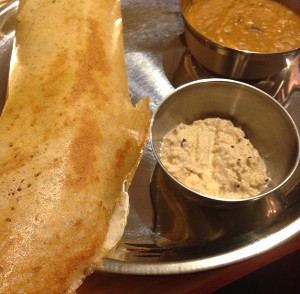 A delicious addition to my South Asian weekends (dosa at Mukka). All I need now is for someone to make idli and I'll be content. Dosa a short walk from house. Look at that beautiful thing. Crispy all the way, a heavy and spiced masala aloo, and a dal sambar that was so good I kept eating after all the dosa was gone - which I never do! Housemates Bella and Alex were first time dosa eaters, and were both very happy with their dosa. Bella had the masala dosa also (listed on the menu as the 'classic'); Alex had the eggplant and pea dosa, which I briefly sampled and had a very mild smokey flavour. Our eyes were massive, so I insisted on ordering the vegetable biryani and a dish of momo for sharing also. The biryani was excellent, interestingly minty but very moreish. 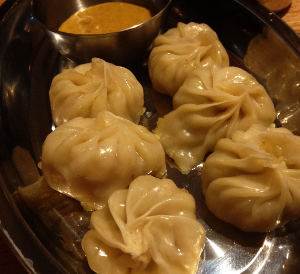 The momo were also excellent and I will eat them again for sure. I also had a mango and pistachio cooler, which is basically a lassi but with almond milk. I chose to have mine with added coconut rum. It was good but it wasted precious tummy space. Maybe on a beautiful summer evening. Vegan, vegetarian and gluten free are all clearly labeled on the menu. The staff are really friendly, and as Mukka just opened, they're having a discount until 12 November. I plan to eat there this Sunday lunch time, not cos there's a special but because dosa for lunch is one of the greatest reasons to exist on this planet. Totally failing at remembering if there's a step to get in. Low tables, mixture of stools and chairs with back. Inside is well lit, ordering happens at the table. Payment over a high counter. Toilet is down a dark narrow path. Takes cards and cash. Get there on the 96 or the 12 tram. Please don't bring a car into Fitzroy if you can help it, it's so annoying. My housemates think I'm levelling up in tempeh, but what's actually happening is that I'm getting more South East Asian in my tempeh prep and cooking. It's so great! Let me tell you how. Tempe kering (or kering tempe) is just tempeh that has been shallow fried and deliciously flavoured. The important elements are to slice the tempeh thin, to fry it in heaps of oil at a high temperature, and to add a delicious flavour with it. One of my favourite comfort foods is pictured here to the left, a more traditional kering tempe served as part of comfort food maggi mee. To cook this I started frying the tempe in a whole lot of sunflower oil (which is my favourite vegetable oil at the moment). After I'd done both sides once, I added a paste mixture comprising of grated palm sugar, kecap manis, ginger, garlic, coriander seeds, cumin and chilli. Sometimes I use fresh stuff and pound it together, and sometimes I just use a whole lot of already ground ingredients. I usually guess proportions based on my mood, but about a teaspoon of each and a whole lot of kecap manis to go with about half a pack of tempeh. To be totally traditional, this should be fried with peanuts, but I usually don't have peanuts in the house so sad for me. It's still good without! To the right is a modification I'm really happy with. I roasted half a butternut pumpkin, skin on. This pumpkin was coated in sunflower oil and maple syrup, before going into the oven for about 35 minutes, turning halfway. When the pumpkin was cooked I drained off the marinade and poured it straight into a fry pan, where I proceeded to add some extra oil and then fry the tempeh until it was in crispy sizzle town. I then poured the pumpkin in, fried it all around, and served it as a side dish. It's amazing! Fried tempeh is a gift to us all. It's important not to use olive oil when you're making kering tempe, because you need very high temperatures to get a beautiful, crispy tempeh. Use a canola, sunflower or peanut oil instead. On a really quick visit to Perth last week, and the highlight was probably visiting the community garden at my childhood church. This used to be a whole lot of junky, empty land out behind the church. Pat, a member of the congregation, went to a Living Smart course - a course I used to facilitate (!!! ), Living Smart is a series of workshops about living sustainably in your community in WA, and was designed by Earth Carers and is totally excellent. ANYWAY, during the course of the course, they all agreed that 'community gardens' was an essential component of supporting and growing one's community. And Pat was all 'we have this empty land, it could totally hold a garden', and this community garden was born. I love this garden so much! It's maintained in conjunction with the Swan View Community Association, and uses this unused space, and builds community. The produce goes to another local church, who have a soup kitchen twice a week (though of course people working in the garden take some bits and pieces home). It has pushed this aging church community out into the wider community, and also brought some of the wider community into the church community. There's also some involvement with the local high school (Swan View Senior High). And it's so adorable, to see these people (and this building) that I've known since I was a wee penguin in a different light. This photo to the right is my mum harvesting kale, a vegetable she's never before cooked. On the day I visited, they were having a sustainability fair as a part of Sustainable Open House Day. I'm actually having a word with them, because their sausage sizzle was Classic Bunnings (white bread, cheap meat sausages), and their crochet was Classic Church Fete (crocheted coat hangers and crocheted tissue boxes) and their apple pies were only $3, and I may not believe in their God but they are adorable and I definitely want them to make crochets that the hipsters would want to buy. ANYWAY, way adorable. If you're a Perthie in the Greenmount/Swanview/Midland area, you can visit the garden on Tuesday mornings (and the church, Uniting, on Sundays at 9:30, if that's your jam). The rest of my trip to Perth was mostly food. Visited Mt Lawley staple Veggie Mama for a delicious plate of curries and salads, and took myself out to breakfast at Swan Valley Cafe. Both are exclusively vegetarian. Swan Valley Cafe has always specialised in teas but has recently branched out to include matcha lattes, and it was a lovely one. My breakfast there was beans on toast - their bread is all gluten free, and really lovely, and the beans were EXCELLENT. There was zucchini and capsicum in them, and they were served on one trillion cherry tomatoes and spinach leaves, with lots of avocado. My only complaint was how quickly it went cold. At Veggie Mama I always get the 'Mama's Curry' as one of my curries, with a beautiful creamy potato and fried tofu mix of amazingness, as well as whatever other curries catch my eye. Veggie Mama specialises in fresh juices and fantastic salads, and always has something interesting going on in the sweets department. There's a seated area that's accessible, but ordering takes place at a counter that's up a half-flight of stairs. Takes CC. Never been there at night but during the day it's so well lit. Get there in your automobile, and drink at some wineries on your way out again. Lots of ramp access, both into the restaurant and around to the garden in the back. CC available. Well lit and very quiet. Includes an attached tea shop and nursery. Rolled into The Cider House this arvo, looking for a place to take my out of town friends. I haven't been there in an age and I wanted to try some of the vegan goodness on their menu. No regrets, my friends. I had the nasi goreng and it was so good. I never order SEAzn food from "modern Australian" kinds of restaurants, because I'm always disappointed; they're a little too fusion and not enough wok hei as appropriate for my tastes. This was worth it, though. The tempeh was so perfect kering tempeh (and there was a lot of it), there was so much sambal and it was spicy, it was all flavoursome and delicious. I will totally eat it again. It made me very happy. My only sadface was that it was a little toooo saucy (like me). I also ordered the sweet potato wedges and though it was an awkward combination, my only regret is that I was too bao le to finish them. Get there on the 11 tram, stop Leicester St. I am pretty sure there's a step into the restaurant, lighting is good during the day and poor during the evening. The tables are awkwardly close together and there's a high risk of couches with low tables. CC available. 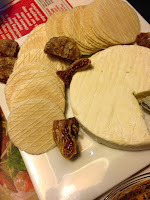 I am obsessed with the Damona cheeses, after friend Ju brought the brie to my birthday and I made my first ever cheese platter. IT WAS AMAZING. After you get used to the faint coconut aftertaste (it's a very coconut-based cheese) it's so gooooood. 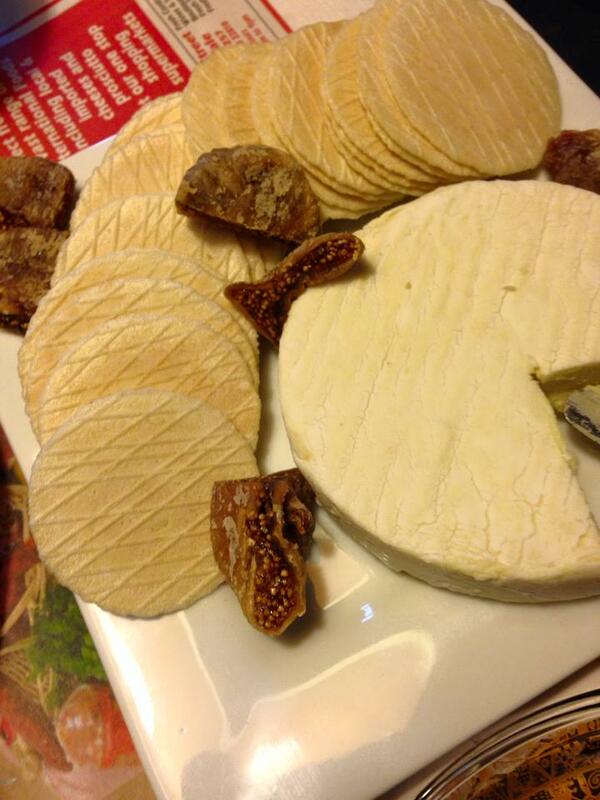 So brie-like, perfect at room temperature and great with some figs on some gluten-free crackers. Anyway so I purchased the brie, the mozzarella and the pepperjack because they were onsale this week at the Cruelty Free Shop in Fitzroy. Brie, amazing at room temperature spread on pumpkin sourdough. Highly recommend. I used the mozzarella in a tomato-based pasta sauce, added to my bowl after all was done. The mozzarella has sun-dried tomatoes through it, and it was melty but added a bit too much of a coconut aftertaste to my pasta. I won't use it again on my pasta, but I am going to give it a go on pizza soon. Today I made cheese toasties out of the pepperjack. It's not peppery at all, and melted really beautifully into the sourdough. Again with the coconut aftertaste, but I'm looking forward to making a tomato and cheese toastie in the very near future. Overall, I'm a big fan of the Damona cheeses. The brie remains my favourite, but I'm enjoying the pepperjack a whole lot. I remain mixed on the mozzarella. 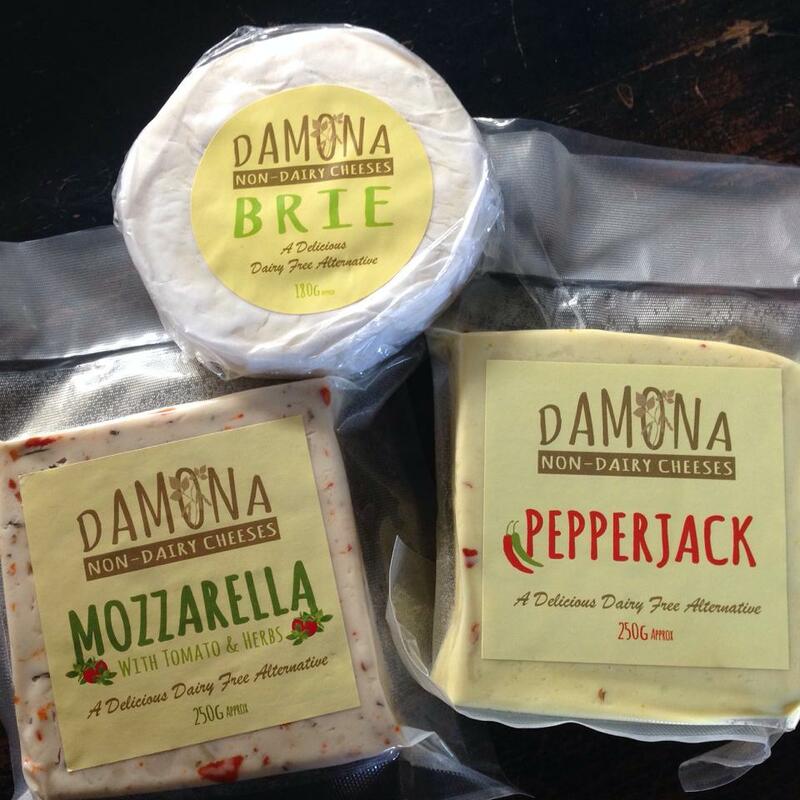 Damona cheeses are made in Coburg! What a good, local cheese. We're all very familiar with the vegan parma available at the Cornish Arms in Brunswick. Important for your info, though: cheap speciality parmas are available Friday lunch, and Sunday lunch and dinner. These parmas are $14 (maybe $12? ), and come in a variety of styles including poutine and something with pesto and pepperoni. AMAZING. Featured here is the poutang, a parma topped with facon, chips, cheeze and gravy, on a bed of chips, with a garden salad. ACTUAL PERFECTION. Go there tomorrow - it's Sunday. Housemate Bella has some AMAZING biscuit recipes up her sleeve, and this is one of them. It's one of my favourites because a) LEMON MYRTLE, b) we have a lemon myrtle tree. If you don't have a lemon myrtle tree, you can just buy them ground. No pictures because they didn't really turn out but you must eat these ASAP. I'm eating one right now. If you're not using a blender, chop the macadamias and lemon myrtle leaves first. Cream margarine and sugar (in a blender or with a whisk). Add your macadamias and mix until all the pieces are blended in. Mix in your lemon myrtle leaves. Add your flour. Mixture should be a bit crumbly but stick together well. Roll into balls roughly the size of a golf ball. Put them on a tray greased or lined with baking paper. Bake for 10-15 mins, until they're a little bit brown on top. Wait until the tray is cool, then put them on a cooling rack.